GLIDR Sales will get right back to you! GLIDR Enterprise helps your company bridge the gap between ideation and successful commercialization. Thanks for reaching out! We'll be in contact soon! Well this is embarassing. We didnt get your message. Lets try that again! Leverage the proven benefits of lean methodology across your portfolio. Build better products by building shared understanding of customer needs and jobs-to-be-done. Break down silos with cross-functional teams collaborating in GLIDR. Skillfully manage each project with a qualitative project summary and quantitative data. Make decisions to advance stages and allocate resources. View priorities and key stats on velocity, experiment duration, financials and market size. Make smarter decisions across your portfolio and across different horizons of innovation. 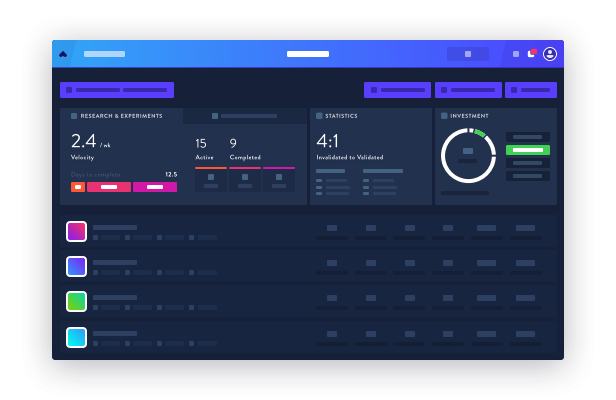 Enable improved company-wide agility and pattern recognition, and keep important stakeholders updated with an executive summary perfect for leadership or major investors. 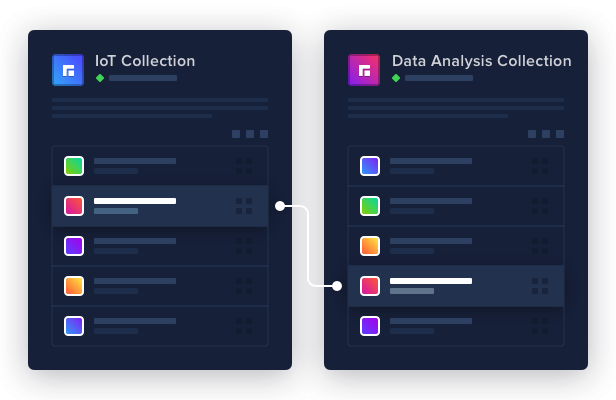 Collections act as smart folders to categorize and sort your projects by horizon, department, technical areas, strategic opportunity areas, or any other groupings you use. Stay aligned with your company's defined process. 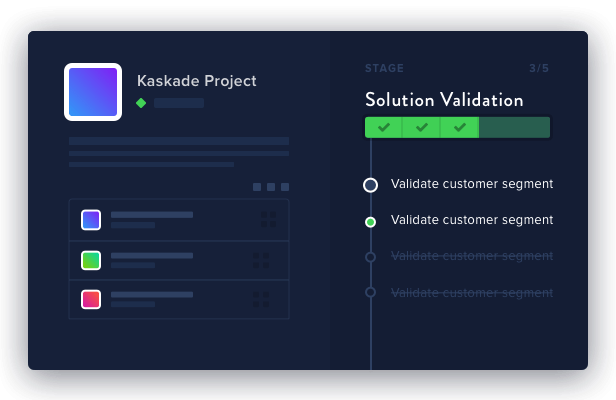 GLIDR can track progress through any predefined innovation stages. There are projects designed to maintain and defend your core business. Then there are those meant to nurture emerging businesses or develop entirely new businesses. Understand your portfolio makeup with GLIDR. 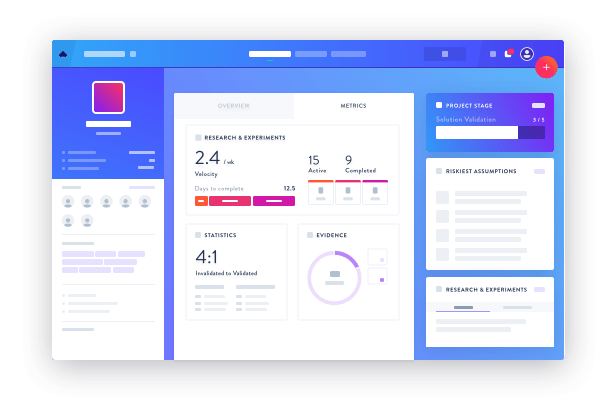 Use collections, stages and custom fields to build your portfolio in a way that makes strategic sense for your organization. 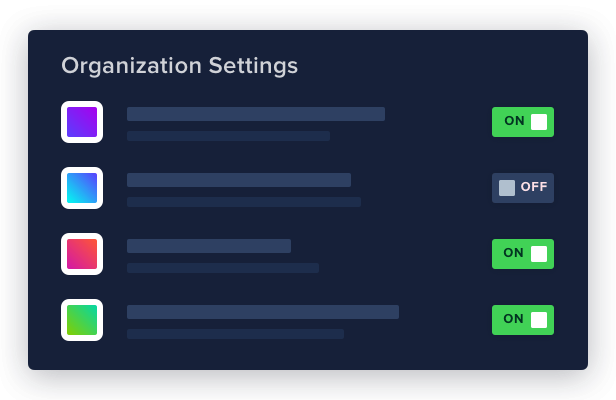 Customize field names to fit your organization's vocabulary and needs. Keep your focus on active projects, while benefitting from the growing value of your historical archive. 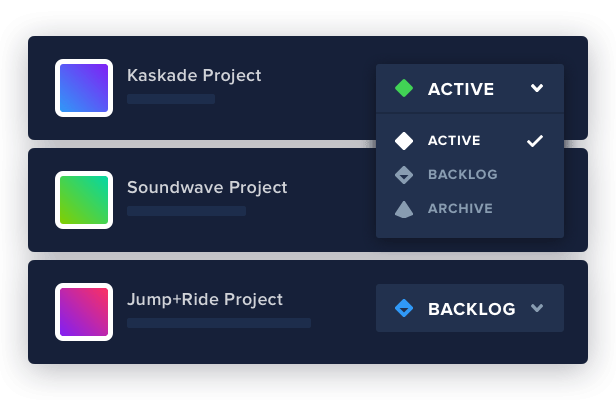 As active projects conclude, the backlog provides a ready queue of new projects. GLIDR Enterprise enables the security and feature set that large organizations require. Admins can see full audit logs at any point. See who changed what, and when. 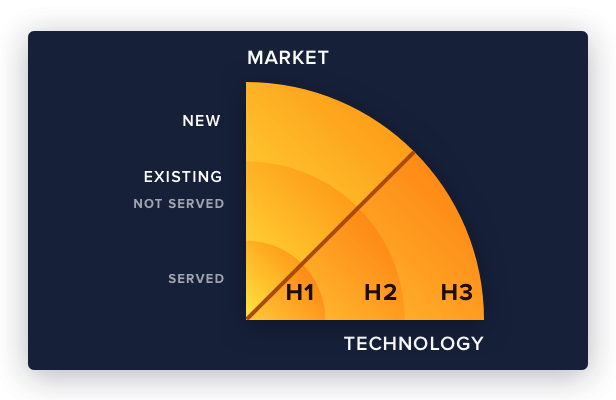 GLIDR is a permission-based platform. People can be added to an organization as an Owner, Admin or Member and separately given one of 4 access levels to each project. Use your preferred leading SSO provider to control and simplify access to your company's GLIDR instance. GLIDR's default setup is multi-tenant. If required, we can set up a private instance for your company for an additional charge.